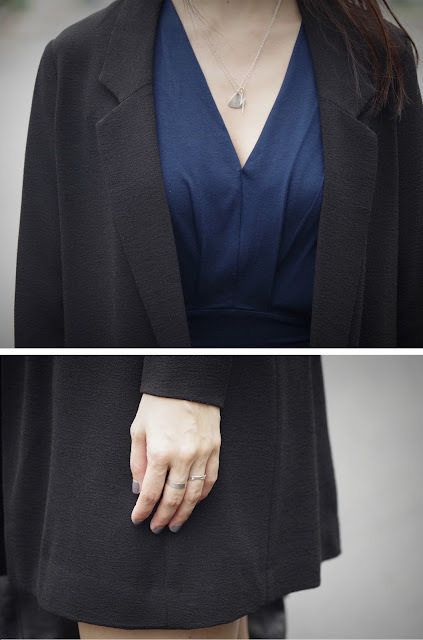 I love a good navy dress once in a while and this particular one I fell i n love with while browsing on ASOS. I love the style of it so much, I just wish the quality was better. It's made of a basic jersey fabric and while it is really comfortable, it highlighted the abdomen area so much that any little bulge will be magnified - not my kind of flattering. I wished it was lined but ASOS doesn't line their jersey dresses, ohwell. Maybe I should have sized up?